Here are a few cards I've made this week and finally getting posted to my blog. 1. This is for our weekly CCEE challenge hosted by JoJot to create a summer-themed project using this sketch design. I love getting together with family and friends on a beautiful, summer day and having a cookout or picnic. Please be sure to check out the designs my friends made on our CCEE blog; we'd love it if you played along with us, too! 2. 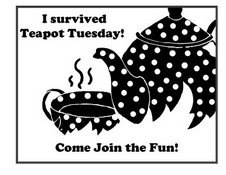 I made my next card for one of the "funnest" challenges ever on Splitcoaststampers (SCS) called Teapot Tuesday. Mothermark is the challenge hostess, and man, is she funny! She always has these terrific teapots for our inspiration and associates some pretty goofy stories to go along with them. It's been great to see the number of challenge participants growing and how everyone gets into the goofy groove, as I call it. We have so much fun! You can get the details on this week's challenge here. This week, we were going "dotty." I stamped directly onto black and white polkadotted designer paper. I hand drew the hills and outlined with slashes and x's, which is not my original idea. 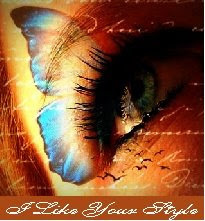 I got the idea from Cathy (aka Mutnik) when she was featured stamper on SCS a while back.. I colored the entire scene (except for the sun) with a mixture of watercolor wonder crayons, followed by reinkers and blender pen. The sun was made with my 3/4" circle and boho blossoms punches. 3. My last card was for yesterday's sketch challenge on SCS, as well as using the distressed linen technique that Gina K demonstrated on Stamp TV. Basically, you do an emboss resist technique on designer paper and then color with distress inks. It was fun to do! I started with a piece of Basic Grey's Nook and Pantry; I have a small piece of it laying at the base of my card so you can see how my background paper started out. I clear embossed this Rubbernecker shasta flower onto the designer paper, let it cool, then I sponged my distress inks (tattered rose and weathered wood) over that. I really like the effect of how you can still see the original designer paper pattern after you've embossed and sponged it with ink. I stamped an extra shasta flower onto bordering blue, cut it out, rubbed wax paper over it to give it a little shimmer, sponged the outer edges with the weathered wood distress ink, bent back the edges of the flower with my bone folder, added hematite glitter to the center, and popped up on a dimensional. I black embossed my sentiment (also by Rubbernecker) on vellum and adhered that to the back of my die cut oval panel. I always appreciate your visits and comments; thanks! Have a great day! three great cards Charlene! what fun images on the picnic card,your dotted hillside scene is super and the sketch card is so pretty with the framing and lovely colors! Wow-zers girl, I love them all!!! 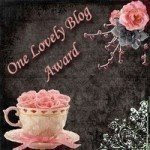 Charlene I love all three of your creations. Great interpretations of the themes. I'd say you nailed all three! Love the creative way you used the dots. Bet Cindy loved it!! You've been busy, busy, busy! And with beautious results! So glad you're having fun while you're at it. I sure have fun visiting! Love the RED for grilling, the wonderful flower on the last, and the fun FUN dots all over the teapot Tuesday card!!! Hi Charlene! So good to see you today!!!! Wow you have been busy gf!!! Love your week's work!!! The sketch on the first one is great and I love the dp you used... perfect for your BBQ theme!!! The teapot challenge card is just over the top clever!!! Love those hand sketched hills and the x's are really cool!!! I love your emboss resist card too! I just did one with Gina's method too but I guess I'll have to post it next week. Wow on all of these Charlene!!! Hope your summer is going well!!! card #1 is super summer cool! card #2 is brilliant. love that stamped on dotty paper!!! card #3 is just gorgeous!!! i DID see my image at SCS. funny, a friend asked me do draw an image for a sick friend. that's what i came up with and it's my most popular image - go figure. must the hospital gown - lol!!! OH my gosh you have been busy.. I love cook outs too.. They are so fun and always a relaxing way to entertain. The second one made me laugh out loud.. Leave it to MM to come up with a polka dotted theme.. LOVE how you stamped on the dp.. 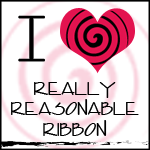 The third one is one of my favorite quotes.. Love how you tied the ribbon.. Great job Charlene.. I am around.. Just busy with my college girls being home and DT commitments.. 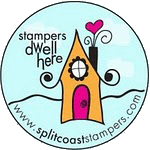 I want to stamp for fun one of these days...hugs. Love love LOVE these! The first one with the red gingham paper is SOOOOO perfect for the summer theme...so bright and eye catching! I just GOTTA try the X thing with one of my stamps...that look is TOTALLY cool!! Hi Charlene, and a happy weekend to you! All your cards are beautiful, multi-faceted pieces of art created so uniquely by you!! I like them all for different reasons, but the one that stands out is the last one, I love the framing and the background paper you created and the color combo is so soothing!! Way to go with all these challenges, friend!! sorry I came late to the party....somehow I thought that you were one of the few people I was caught up with.....lol!!! WOW! All of these cards are just wonderful and I love them all. Your color choices always are just perfect! Wowza...wunnerful cards Bertie! All of them.....You da man! Wow...Charlene! I love, love the corners and the cool red and black theme on the first card, then I was grinning from ear to ear at the cute second one and finally the last one is just plain knockdown gorgeous!! I am drooling all over my keyboard at that flower....may have to case that idea. You are too talented my friend!! Next time you're in the neighborhood, I need some of that to rub off.